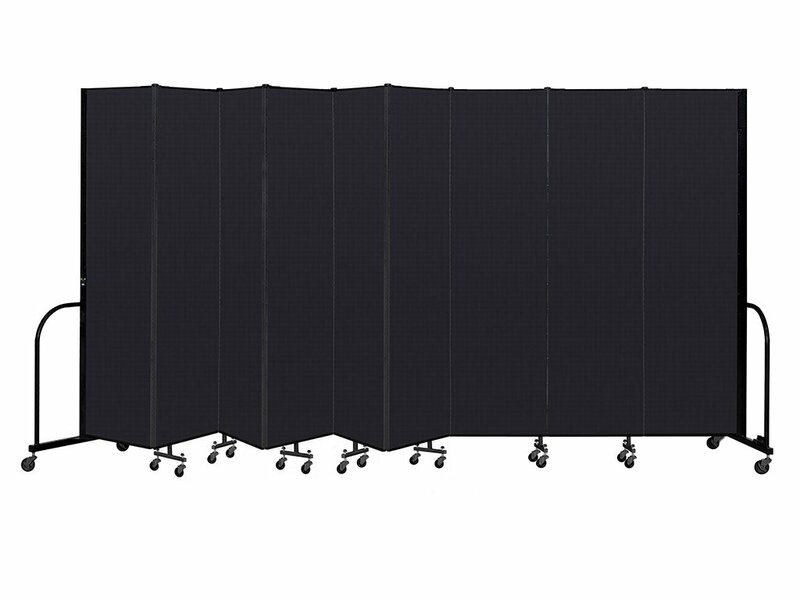 6' 0" 6' 8" 7' 4"
Portable welding screens from Screenflex provide the perfect solution for creating safe welding and grinding environment anywhere in your facility. 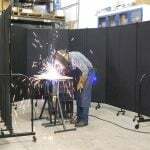 All-steel framing plus Sandel Fire Barrier fabric means these Class A fire-rated dividers will stand up to sparks from welding and grinding. 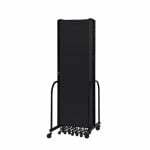 This welding shield is freestanding, with no overhead rails or frames required. 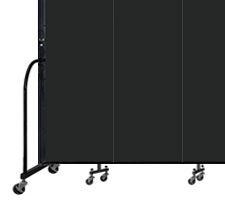 The panels on a Screenflex welding screen are hinged together from top to bottom, which eliminates any gaps and reduces the potential for flash burns and the glare of dangerous UV light. 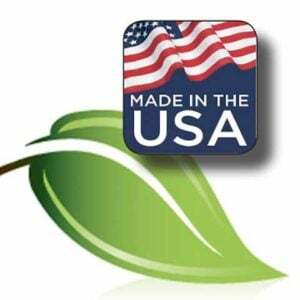 Required by OSHA, welding screens offer protection to other workers when welding is performed in their vicinity. 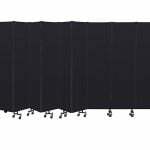 Hence, using a welding curtain is an essential step in creating a safe welding environment for yourself or your coworkers. A full-length hinge secures all Screenflex welding screens together from top to bottom. 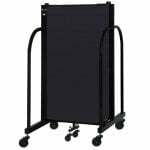 Steel panel frames and low and durable end frames provide stability to the welding screen. 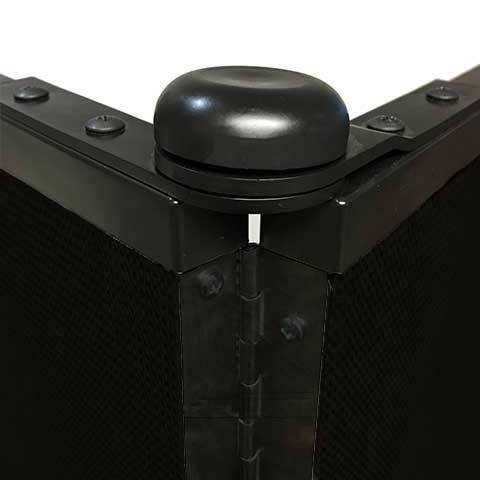 The sturdy end frame enables you to quickly reposition the divider into a straight, angled, “L,” or “U” shape to surround a welding area, create a temporary welding booth, or form a complete welding enclosure. The open space at the bottom of the welding screen provides for air flow and offers ample room for welding hoses and power cords. 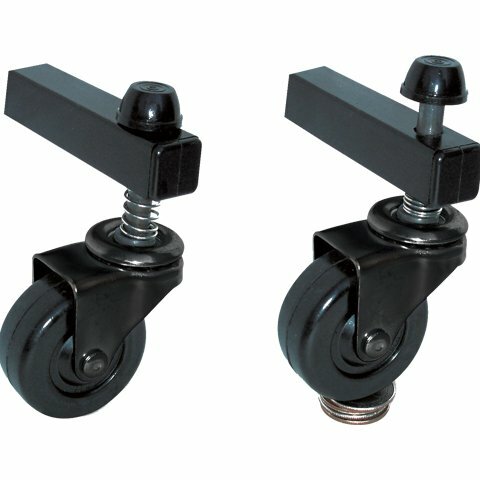 Black Self-Leveling Casters are exclusively used on Screenflex dividers to conform to the dips and rises in a floor’s surface. Each wheel retains full contact with the floor and enables the divider to glide effortlessly over uneven surfaces. 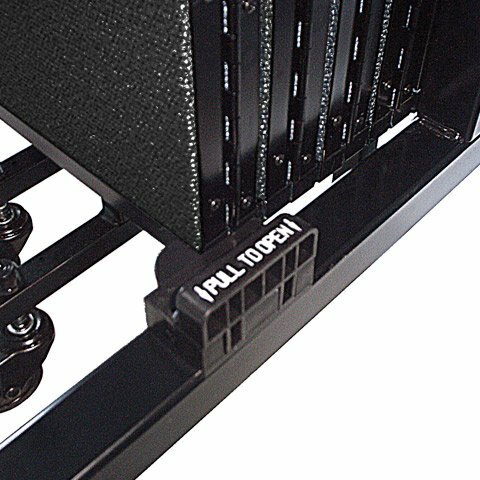 Our locking Corner Casters are pedal activated brakes that keep the Display Tower panels secure and steady. Our self-leveling casters allows our dividers to swivel 360 degrees for easy positioning and setup. 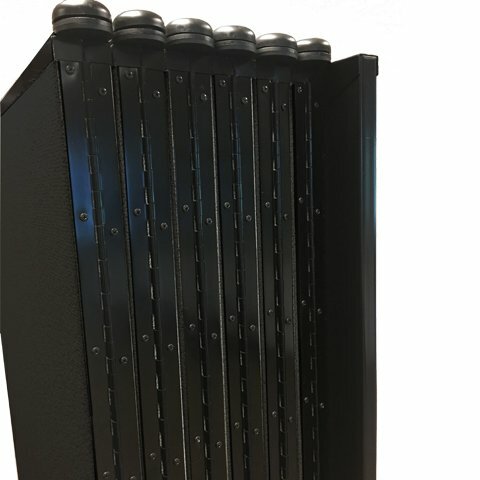 A set of chrome plated Multi-Unit Connectors installed on the end frames of Screenflex Fire Resistant Screens allow you to customize the length of your screen. A simple turn of the latch joins screens together to form the length you desire. 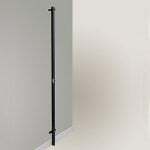 Connectors may also be used to attach screens to a Screenflex Wall Frame for a more permanent room divider solution. 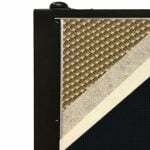 The Screenflex portable welding screen is an excellent product for providing a safe environment when welding. Screenflex sales consultants are great to work with. 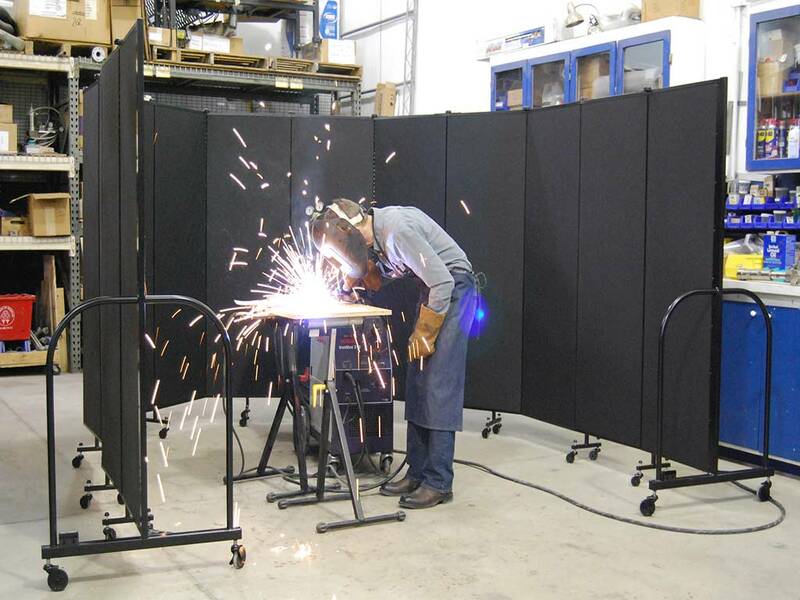 The fire resistant screen is used as protection for a designated welding area. Excellent customer service. We needed a portable welding screen for our maintenance department. 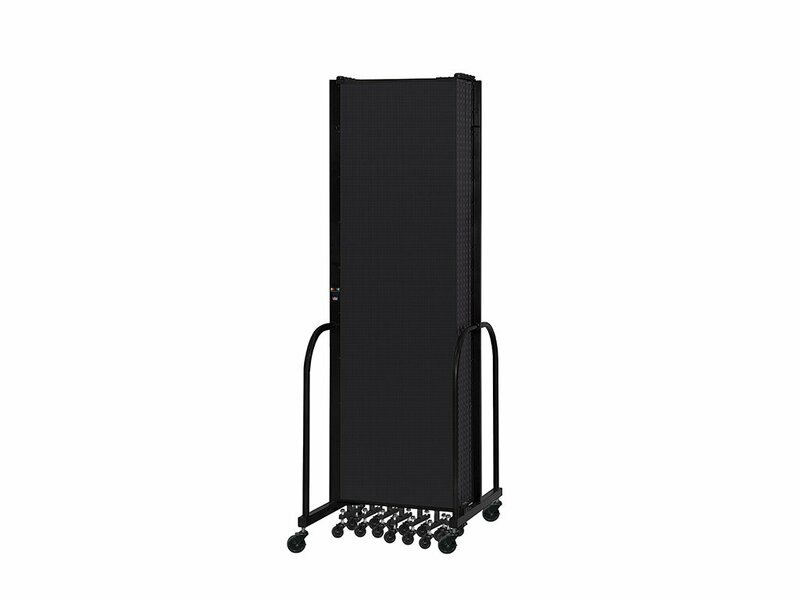 The Screenflex Divider is portable and easy to move around our warehouse. Excellent product! 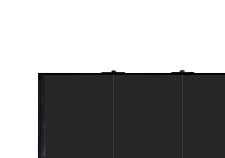 We love our Screenflex fire resistant screen. 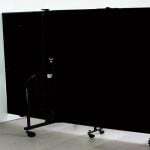 We use is for a welding blind and it works perfectly. The dividers solve our need for something that would stay up in the wind and block out the glare from sparks when welding.